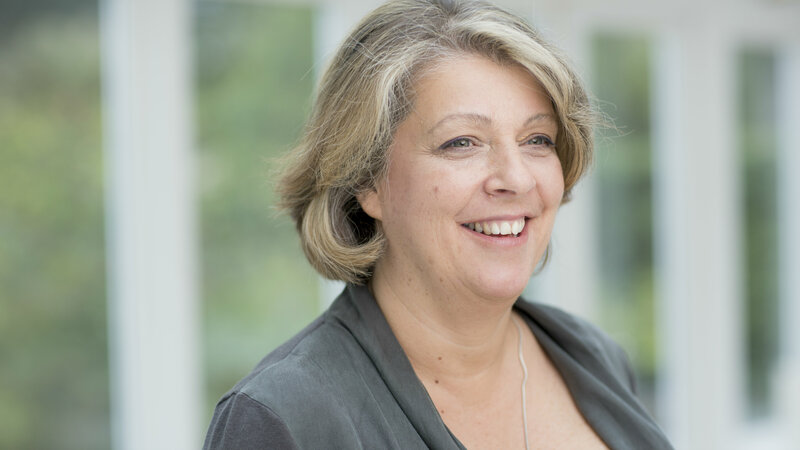 Belinda Phipps has enjoyed success in both the private and public sectors, pursuing an impressive and diverse career path that led to her meteoric rise to senior and influential positions such as Chief Executive of the Science Council and Chair of the Fawcett Society. Belinda began her career with a first-class degree in microbiology from the University of Bath, which took her to Glaxo as a sales and marketing executive. It was here that she first became aware of the pervading masculine culture of her workplace and the obstacles that women face as a result of gender. Belinda recalls that, initially, she rose to the challenges: “I have a strong competitive streak. I survived the cut-throat competitiveness and enjoyed it, but I realised that I could never, ever show weakness in any way in this environment”. In 1990, Belinda embarked on an MBA at Ashridge Management College, taking her baby daughter with her. She then took up various leadership positions in the public sector including in the South Thames Blood Transfusion Service, the London Ambulance Service, and the East Berkshire Community Health NHS Trust. Under her leadership, all blood services - including that of the army – were brought together to supply blood into Bosnia so that victims could be treated locally rather than air-lifted to the UK. This is one example of the remarkable talent that Belinda has displayed throughout her career - to recognise the need for and to drive systemic transformational change. In 1999, Belinda was appointed as Chief Executive of the National Childbirth Trust. Under Belinda’s 15-year leadership, the charity grew six-fold to a membership of 110,000 and increased its income by more than 500 % to over £17 million a year. The Chair of the Trust, Beryl Hobson, described Belinda as “a force of energy”, commenting that “not only did the charity grow in financial terms under her leadership but we have grown in influence and reach.” Belinda placed parents’ needs at the heart of the organisation’s activities, and developed large-scale services for its users that were both evidence-based and personalised. Under Belinda, the NCT brought about important legislative and policy changes in maternity care and parenting. These included the legal right to breastfeed in public, better maternity leave, introduction of parental leave for fathers and evidence-based policy change to support women to give birth outside acute hospital units. In 2014, Belinda was appointed as CEO of The Science Council, the umbrella organisation for professional bodies and learned societies, representing over 400,000 scientists. The Science Council provides a voice on policy and ethical issues affecting the science community, fostering debate and the exchange of ideas across the network. Belinda has used her position to take the lead with projects and activities on sustainability, equality and diversity, and public trust and confidence in science. Belinda has also been actively involved in campaigning for women’s rights through her role chairing the Fawcett Society. With its roots dating back to 1866, this influential society campaigns for changes that improve women’s lives today and the prospects of future generations. Recent successful campaigns include the mandatory publication of gender pay gaps. Belinda is an inspiring role model for us all, including today’s graduates. At the University of Bath, we are committed to an inclusive and supportive environment. We have established women’s networks that reach across disciplines and across academic and professional roles. We recognise Belinda as a strong supporter of these values, as a committed advocate for equality and ethics, and as a champion of science and evidence-based policy making. Pro-Chancellor, I present Ms Belinda Phipps, who is eminently worthy to receive the Degree of Doctor of Laws, honoris causa.